This wall mountable 140 CD display conserves retail floor space and allows customers to peruse your entire selection at their leisure. Multiple displays can be placed side-by-side to increase the amount displayed. 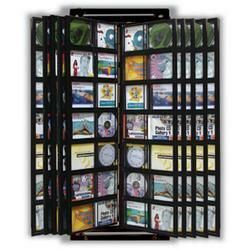 Safety features insure that CD'sremain safely in their display.